Telecommuting just wouldn’t be possible without technologies that allow people to connect with colleagues or clients remotely. The ability to video chat with someone halfway around the world, for example, or to work using a shared project management tool is what connects a virtual workforce to one another – these technologies and the companies that bring them to market are without a doubt the heartbeat that drives the future of work as we know it. I recently had the pleasure of chatting with Andrew Donnelly, the Online Marketing Manager for Mikogo – a company that provides screen-share and online meeting tools to people worldwide. 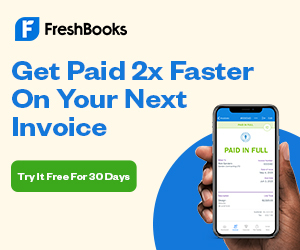 They make it possible for freelancers, companies, entrepreneurs, and more to connect – something that is pretty awesome, if you ask me! AD: The company founders, Erik Boos and Mark Zondler, came up with the idea for Mikogo when they were traveling regularly for meetings around Germany. Commuting between cities would mean that a one-hour meeting was effectively taking several hours out of their day. They then devoted their time to launching an easy-to-use and secure software solution for people and businesses to meet online and hence save significant time and costs as a result of eradicating unnecessary travel. AD: Definitely the number one thing is our award-winning HTML Viewer. This is an alternative way for attendees to join online meetings which involves no downloads, no browser plugins, no Flash, no Java, etc. It’s 100% browser-based so attendees need nothing more than an Internet connection and a browser to join a meeting, which are two things that all computer users have. It’s the quickest way to join an online meeting. On top of that, the software is free for non-commercial use. Anyone can sign up for a free account today and get started within a minute. No complicated sign up process or setups. It’s free and easy. JM: I LOVE that your founders saw a need and then decided to meet it – what was it about existing tools that didn’t “get the job done” for them – so much so that they opted to create something from scratch? AD: The main thing Erik and Mark were looking to accomplish was to create a product that worked for the masses. Everyone has had an online meeting experience which failed: perhaps an attendee found it difficult to join, or the host could not connect to the service and start a meeting, or perhaps company networks and firewalls were interfering. At the time, and even still today, initiating an online meeting was not as straightforward as it should be. There were a lot of things to consider that the average non-techie computer user could not handle e.g. network settings, firewalls, proxies, the sudden need to download Flash or Java, etc. The process was simply not good enough and not easy for the masses. That’s one of the reasons why the HTML Viewer has been so pivotal for Mikogo because it truly overcomes all these issues. It simply works. AD: Obviously the first is Mikogo 🙂 We not only promote our own software to our users and customers, we rely on it heavily ourselves. We are a globally dispersed team spread over four countries so it’s important that we can communicate and collaborate together effectively. We use Mikogo every day to jump into an online meeting so we can share and discuss any of our projects with one another. The next tool would be JIRA which is an issue and task tracking web service and is our project management system. It’s so good to have all our tasks and projects in one central place where all team members can keep track of their projects, check the progress of other projects, comment and notify anyone about any task, read and contribute to company microblogs, etc. I think we utilize just about every aspect of the tool, as well as Confluence (another collaboration system by the same company, Atlassian), as it’s so fundamental in how we keep track and stay on top of all our past, current and future work. And on a side-note…. I think that is key to remote working tools – make sure you get the most out of them. Don’t limit yourself to one feature or function. Explore the tools, learn the features, and see how you can incorporate the tools further into your work processes. Also it’s important that a remote work tool is not only utilized by one department. Greater collaboration and productivity comes from all departments (sales, marketing, software development, etc.) utilizing the same tools. This opens up and facilitates communication channels. This is better ROI and will also lead to improved productivity and efficiency. The third tool is Dropbox. While we do upload and save a lot of files in JIRA and Confluence as project attachments, when the project is done it can later be difficult to find the final project files. That’s why it’s important to have a real online file hosting system which everyone can access. It’s a great way for us to keep multiple folders of many files in the cloud for anyone in our team to access when needed. It makes it very easy to access any file we need immediately. JM: What was the turning point when you knew that your company was on to something special? AD: I think it’s a great sign when people are talking very highly about your product/company without you initiating the conversation. At first we had to work hard to get people to notice us as we were brand new. But it wasn’t long before we saw people starting discussions in forums, Google Groups, social media, etc., as well as people writing detailed reviews and featuring us on their website. This was a fantastic sign and served as a great source of feedback for us. That then led to greater numbers in users and web visitors which in turn led to greater engagement on our blog, our own support forum, and our social media pages. When you have a user base which is actively engaging with your website and responding so positively to the product (e.g. writing reviews, sharing us on social media, etc.) it shows that you are delivering a great product which appeals to people. For example, back when Mikogo was in its infancy and was only available in English, we got a lot of requests asking for the software to be made in multiple languages. A lot of people said they would translate Mikogo themselves. So we posted a blog post about this and we got a lot of enthusiastic Mikogo users who volunteered to translate Mikogo into their native language. That was a positive sign which allowed us to engage further with our audience and deliver to our users what they wanted: the software in their language. JM: Your site says that you want new customers to say, “I never knew it could be this easy” – If you could sum up your core value/mission in 10 words or less, what would you say? JM: Tell me more about your company culture and how it has created a killer work atmosphere? AD: We’re a tech start up in a fast-paced and competitive industry. The landscape is always changing so you have to be ready to suddenly drop what you’re doing and focus on a new project, if the need arises. I’m personally responsible for a wide range of different marketing activities and projects for Mikogo, so my tasks vary greatly from day to day. I definitely don’t have a strict daily routine and I would say that that is how it is for everyone at our company. Also part of our company culture is that we welcome all new ideas. We are not bound by what we did last year, last month or even last week. As I said, it’s a fast paced industry and to keep up we must evolve according to market trends. Everyone is welcome and encouraged to bring new ideas to the table. This means there are always a lot of new and exciting projects just around the corner. What makes this a killer work atmosphere is that there is never really an “average” day. There are no repetitive or tedious days. Every day presents its own challenges and everyone strives to excel and to deliver their best when meeting these challenges. You constantly push yourself to your limits in order to produce the best results. And when you see the finished result, it is extremely rewarding and fulfilling. JM: What 2 or 3 blog posts would you recommend to first-time site visitors? AD: For a first-time visitor who is interested in using our software, I would always recommend the most recent blog post about the latest product release so they can see what updates or feature additions we have just developed for the users. As a second post I would suggest one on hosting successful online meetings. It’s important to not only provide high-quality and powerful software, it’s also essential to ensure that our users are comfortable working remotely and hosting online meetings, which in many cases is a very new experience. That blog post provides a detailed white paper with relevant advice and points for businesses to think about when hosting online meetings, which many first-timers would not have yet considered. Such content is added value to our users and we provide several such white papers and resources regarding online collaboration and remote work. They come to us for free online meeting software, but they also get free best practice guides to help them even further. AD: I read an interesting article recently about co-working holidays: people are offering shared working spaces to entrepreneurs and remote workers in amazing locations around the world, such as Bali. Nowadays we hear more and more stories about people working anywhere thanks to collaboration software and the Internet. It’s definitely on the rise and we’re going to see a lot more companies offering remote work and telecommuting opportunities. Although it is more commonplace these days, many are skeptical about giving employees such flexibility and not being about to monitor the time spent at the desk by their remote workers or freelancers. But employers are becoming less focused on the number of hours worked and I think now they focus more on delivered results. If a remote worker delivers as promised, that is what matters. It also opens doors to employing the best people for the job. If you’re looking to fill a position, you are not limited to the local talent pool, but rather could find someone better suited for the position yet they are located in a different city. Also if you have a long-term employee who suddenly has difficulty commuting to the office, you can ensure you retain that employee with all their years of training by offering flexible working arrangements where they can work at home part-time or full-time. The results of remote working arrangements are greater job satisfaction and work-life balance for workers, while employers benefit from boosts in productivity and ensuring they have the best people on board in their team. Of course success is dependent upon a few factors e.g. it’s important to hire the right people who can self-motivate, and it’s important to set boundaries and put the right processes and structures in place. One of our founders recently wrote a working from home article, if you’re interested in further details on this. Thanks so much to Andrew and the entire Mikogo team – both for an awesome interview and for making such a stellar remote work tool possible!